Editors' pick: Originally published Sept. 20. If you're hunting for a graduate program (because a grad degree is the new bachelor's degree these days), or want to confirm that you made the right choice in selecting one, payscale.com has posted its annual salary report that details, among other things, the 25 schools whose graduates earn the most. These top 25 constitute schools that award MBAs and JDs (noticeably missing are PhDs, whose degrees apparently didn't make the cut), and two numbers are listed for each school -- median early career pay (graduates within five years of getting their diplomas) and median mid-career pay (10 years or more of experience). 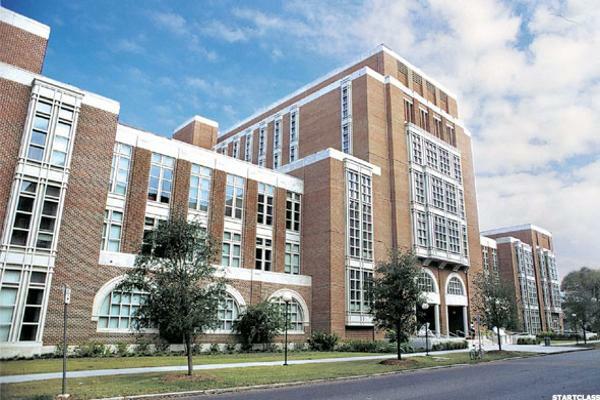 To get the raw intelligence, payscale.com collected input from between 50 and 4,000 working graduates at each school. A grad school diploma for the members of the workforce is an increasingly important notch on the belt in terms of expertise and status. It can also be an opportunity to secure higher earnings than folks who didn't go to grad school -- or, as this list bears out, to certain grad schools. 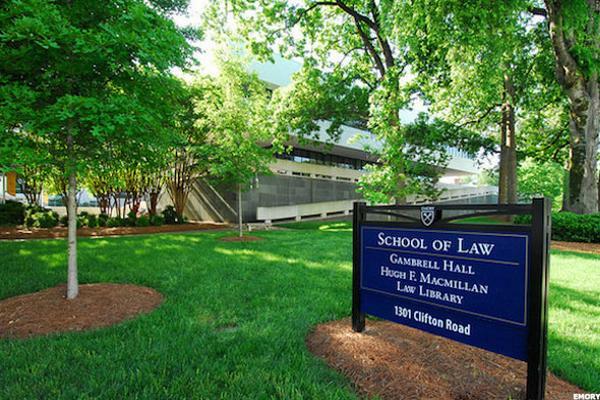 A juris doctor fresh out of Emory in Atlanta can expect a median early career pay of $65,900, which may prove unworkable right away with the student loans that inevitably hang over the heads of young lawyers. But, wait a little while and the median mid-career pay jumps to $195,000 per year-meaning your ability to pay it down and live your life grows exponentially. Tulane lawyers take note: your time in the Big Easy was worth it. With a $66,500 per year median early career pay, and a $171,000 median mid-career pay, you are on solid footing to join an established firm or strike out on your own. Keep in mind, these are median numbers-so half will make more and half less at these two career stages. While the undergrads are playing Frisbee between classes on one of America's loveliest campuses, the law students are grinding away in the law library at Boalt Hall. It definitely pays off, though. 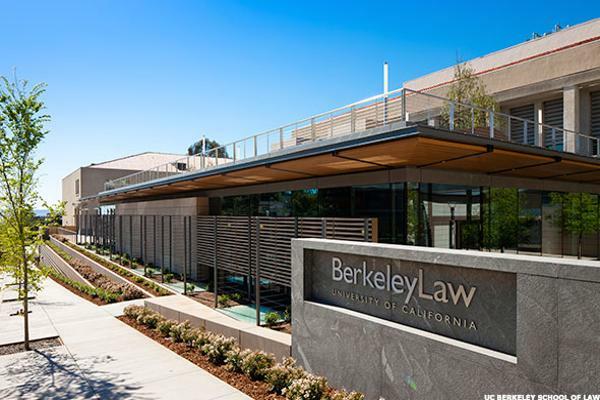 Payscale.com reports that the median early career pay for Berkeley lawyers is $69,900 and the median mid-career pay is $163,000. Fans of the now-defunct show Boston Legal know that Beantown is a good place to be a lawyer. 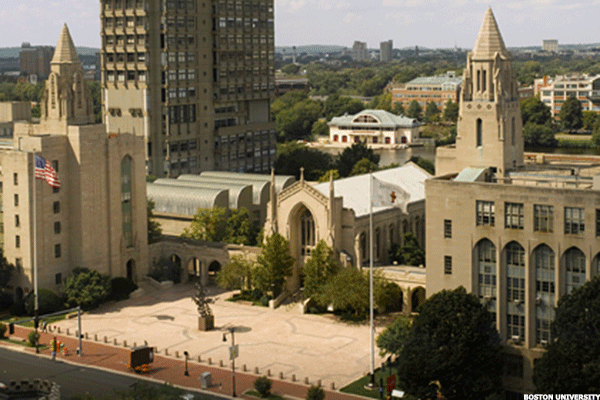 It's also a good place to get a law degree-at Boston University, in particular, where the median early career pay for newly minted JDs is $79,200 and the median mid-career pay is a healthy $158,000. 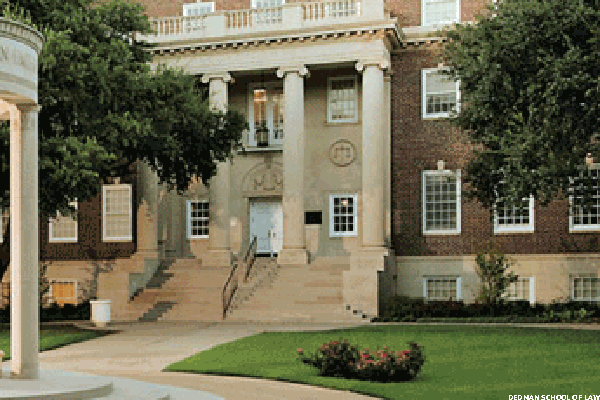 Maybe the leafiest spot in Dallas, SMU offers a lot to its students-undergrads and grads alike-including the opportunity to work hard. If you're parked late-nights at Underwood Law Library, take heart: your median early career pay is on the order of $79,500, and your median mid-career pay is a cool $159,000. 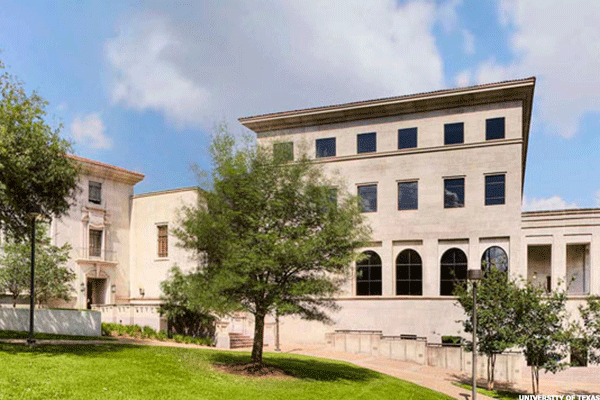 Another fine Lone Star State school, UT Austin offers its lawyers-to-be a bucolic campus, a seriously good music scene, and some of the best area restaurants in America. And, when you graduate, you can expect a median early career pay of $79,500 (in a tie with SMU), and a median mid-career pay of $159,000 (also in a tie with SMU). 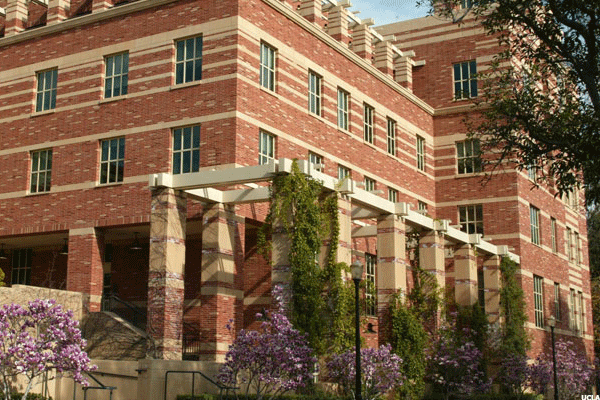 Breaking into the Top 20, UCLA's law school is the big time for a lot of aspiring lawyers and an ironclad credential for its graduates. If you go there, according to payscale.com, you can expect a median early career pay of $80,200, and a median mid-career pay of $193,000-so close to 200k you can smell the greenbacks. 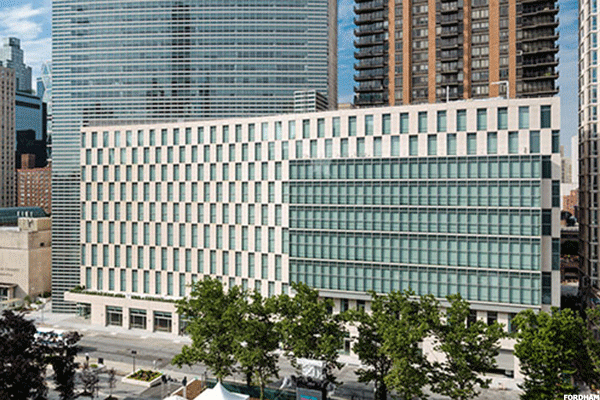 Located in Manhattan, Fordham trains lawyers that are clever and tenacious. According to payscale.com, it also trains lawyers that end up being well compensated, indeed, for their efforts. Median early career pay there is $81,300 and, by mid-career, the median pay for its JDs is $171,000. 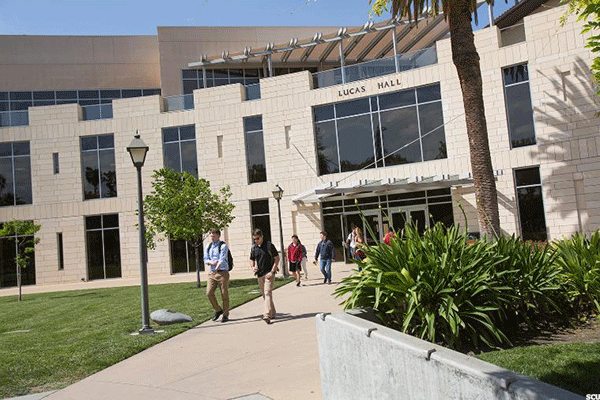 SCU's Leavey School of Business has about 1,000 postgraduates angling for one of five masters degrees-including a joint MBA/JD degree with the law school. If you're there for the classic MBA, however, you and your fellow graduates will see a median early career pay of $83,400 and a median mid-career pay of $164,000. Geraldo Rivera went there (class of '69), and so did David Dinkins (class of '53). Paul Simon attended briefly before, well, becoming Paul Simon. Brooklyn Law also admits non-celebrities, too, who can expect a median early career pay of $83,600, and a median mid-career pay of $176,000. 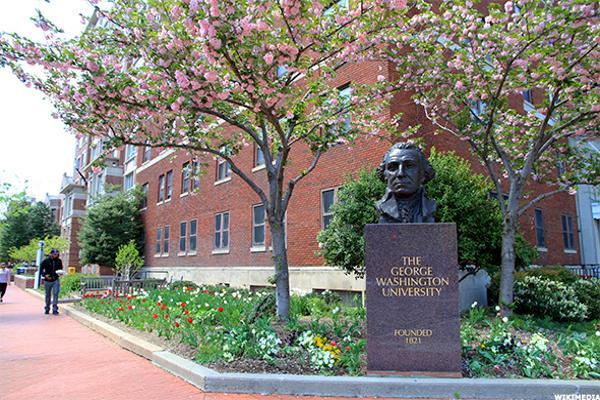 The West End neighborhood of Washington, D.C., is overrun with GW students of all stripes. 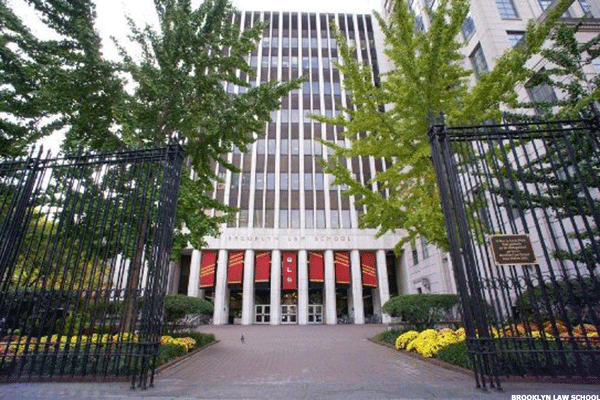 Its lawyers-to-be enjoy the proximity of Georgetown to the west for cocktails, and K Street to the north for those all-important third-year internships. Median early career pay is $83,900 and median mid-career pay is $178,000. 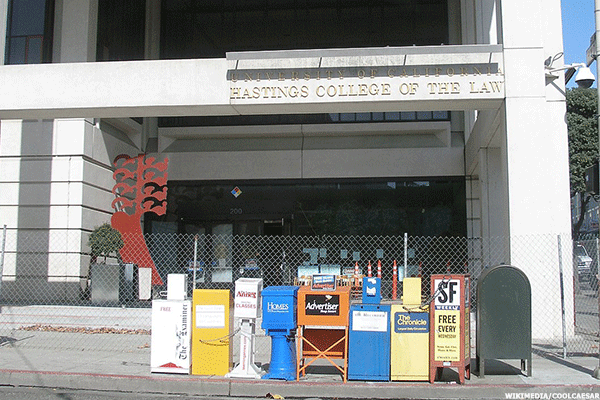 One of the charter members of the Association of American Law Schools, the Hastings College of Law stands around the corner from San Francisco's civic center-and positions its graduates rather favorably. The median early career pay is $84,100, and the median mid-career pay-in the ballpark of others in its class-is $162,000. 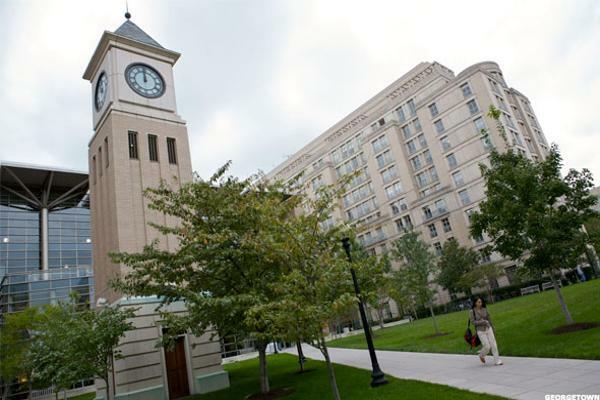 Georgetown Law predictably ends up as one of the top programs in the country in most annual reckonings and, reportedly receives more applications than any other law school. Graduate from Georgetown Law, and your median early career pay, according to payscale.com, is on the order of $86,500 and your median mid-career pay is $181,000 (putting it near the top, again, in that category). 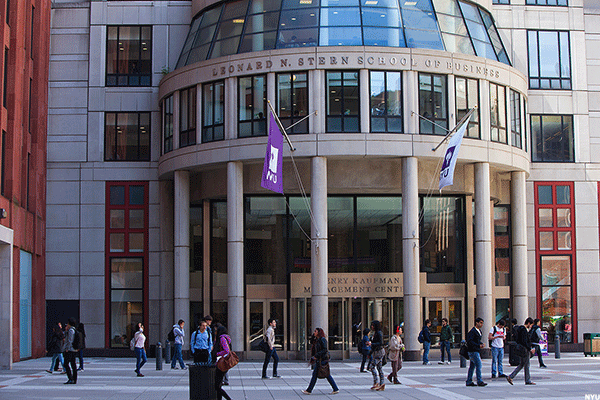 The Stern School of Business at NYU is one of the titans among MBA programs. Plus, it's in the Village, giving Stern one of the more desirable locales to blow off steam after Finance 201. Median early career pay for its graduates is $96,700, and median mid-career pay is $157,000-meaning won't need to rely on Ramen for too long after you graduate. 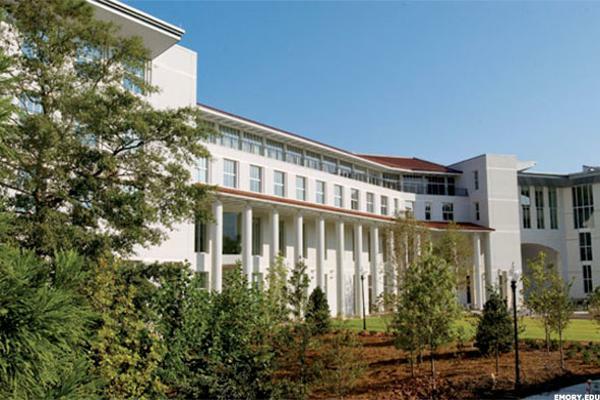 If you get an MBA at Emory in Atlanta, payscale.com estimates that you will come within a hair of hitting that $100k milestone soon after you leave-its median early career pay is $99,600 per year. A decade later, your median mid-career pay is on par with NYU MBAs, a cool $157,000 per year. Don't forget to say "bye" to Dooley the Skeleton before you skip town. 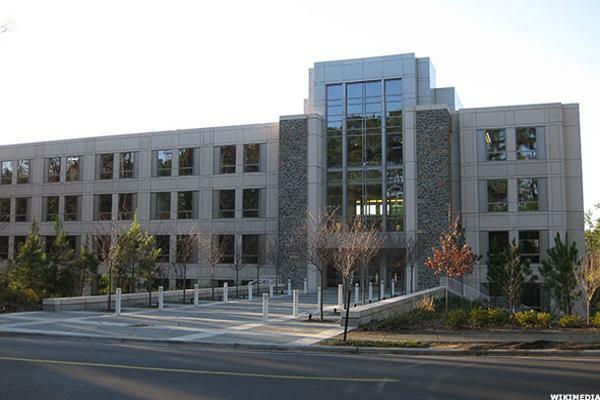 Not does Duke's Fuqua School of Business ring-in the top 10 highest paying graduate programs, but it also rings-in the big 110-meaning the first school on payscale's list to offer graduates a median early career pay over $100k. In this case, the number is exactly $110,000. Later, the median mid-career pay is $160,000 (also nothing to sneeze at). The MBA cocktail hours in Uris Hall's courtyard are legendary. Ask the architecture students in Avery Hall 100 feet away, who have been known to sneak in from time to time. Nevertheless, Columbia's MBA is another titan, and those lucky enough to earn one can expect a median early career pay of $112,000, and a median mid-career pay of $184,000. If you are a University of Chicago MBA, payscale.com estimates that your median early career pay will be $112,000-exactly on par with a Columbia University MBA. Plus, the shoreline of Lake Michigan is arguably a nicer jog than the shoreline of the East River. Having said that, University of Chicago MBAs can expect a median mid-career pay of $172,000, about $12k lower than their colleagues to the east. 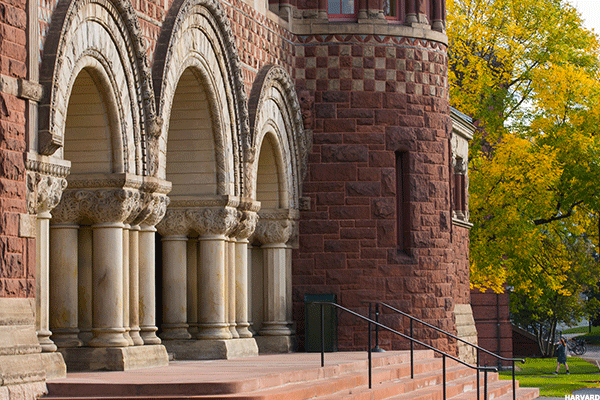 The phrase "Harvard Law" usually makes people take notice. Mitt Romney, Ralph Nader, and both Obamas went there, after all, as did 14 U.S. Supreme Court justices (including half of the current lineup). It speaks for itself, as does this impressive data set: the median early career pay of its graduates is $118,000, and the median mid-career pay is $197,000. 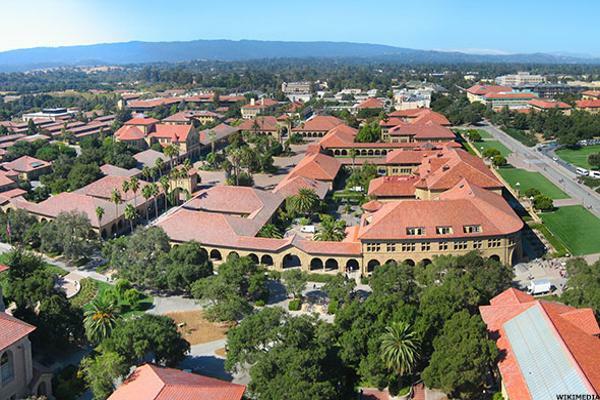 In its official material, Stanford's business school states above the fold, "Our year-round sunshine and balmy climate allow for outdoor living." 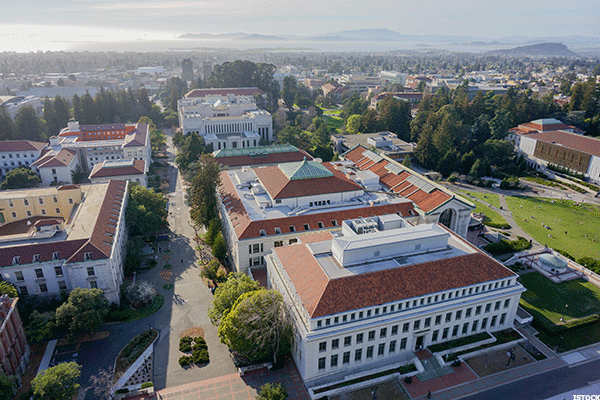 There's also the overall climate of business genius (both tutored and untutored) in Silicon Valley just down the street, making it a good bet for MBA hopefuls whose median early career pay is $121,000 and median mid-career pay is $176,000. It's official: Harvard MBAs have bragging rights over Harvard JDs-their median early career pay is $122,000 and their median mid-career pay is $201,000 ($4k more and $4k more, respectively, than the lawyers). Another reason to consider it if you're shopping around? 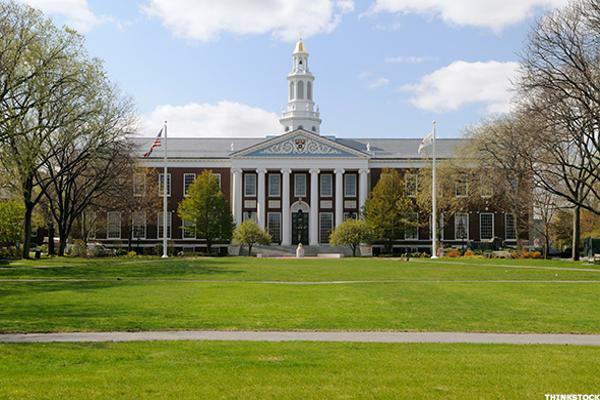 HBS originated the modern MBA degree more than 100 years ago. 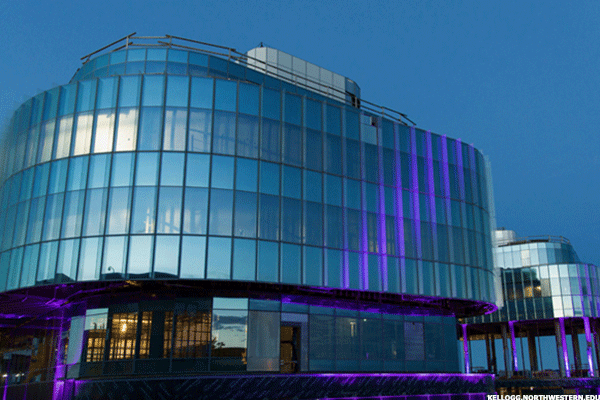 Northwestern University's Kellogg School of Management is on everyone's top list in the annual surveys that make admissions officers grin or grouse. 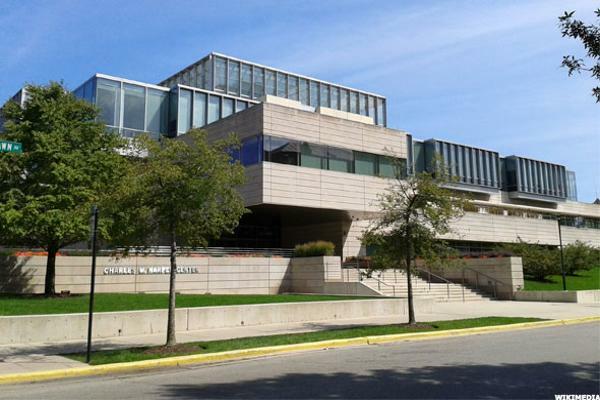 Located just north of Chicago in Evanston, it's a bucolic place to do a one- or two-year MBA, and a sure bet if you want to start repaying those loans when you leave. The median early career pay is $122,000 and the median mid-career pay is $167,000. The Wharton School of Business is a tremendous opportunity-not for the low-energy losers out there, but for the terrific business geniuses that want to learn the art of the deal. 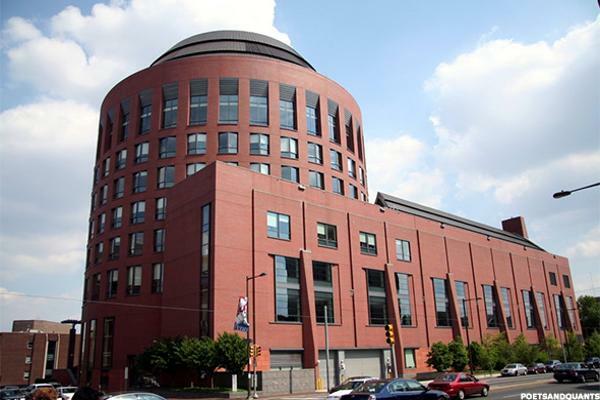 An MBA from Wharton doesn't guarantee that you'll stay out of bankruptcy court (if you end up being a lightweight), but payscale.com estimates with some accuracy that the median early career pay is $125,000 for its graduates and the median mid-career pay is $181,000. 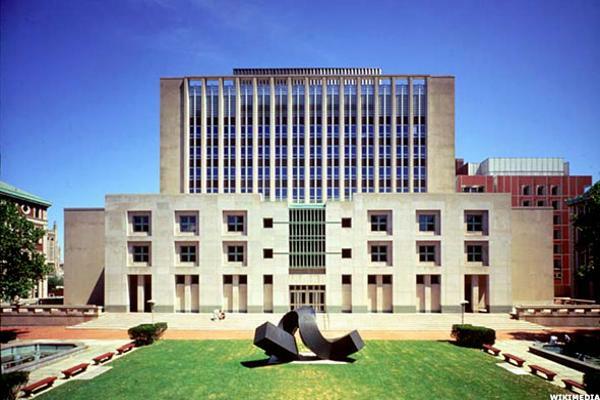 It's true-MIT, the bastion of techno-science-engineering-and-design wizards has a management school that offers an MBA program-and a robust and highly effective one at that. The median early career pay for its graduates is $128,000 and the median mid-career pay is $183,000. 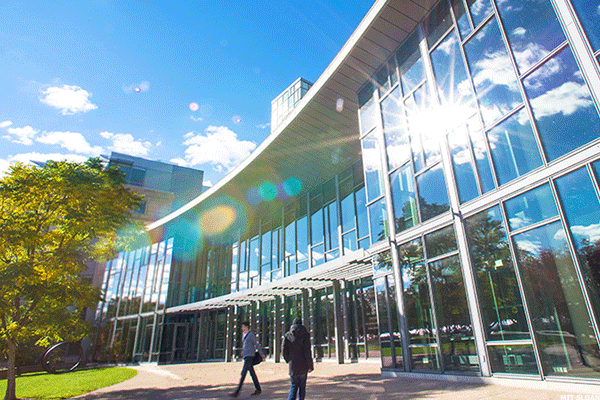 Sloan School of Management alums include Kofi Annan, Benjamin Netanyahu, and Bill Ford to name a few. 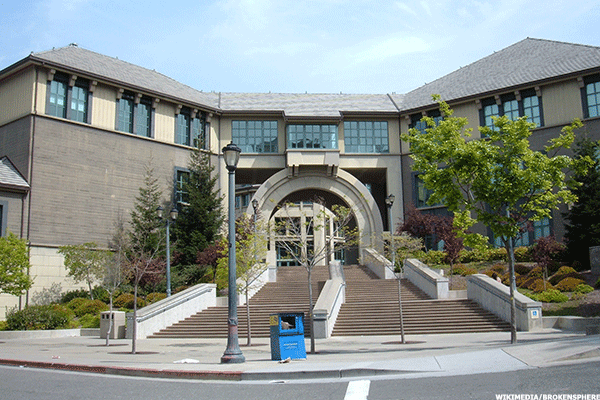 Berkeley has so many hidden and obvious charms, that it would be easy to attend school there and forget that you're actually supposed to work. Not the MBAs at the Haas School of Business. They grind it out-and they're on top of this list as a result. The median early career pay, according to payscale.com, is $130,000-the absolute highest among all of the top 25 graduate school programs in the country. Unrelated to payscale.com's survey is the fact that Dilbert's Scott Adams earned a Berkeley MBA in 1986.